Activity Alliance (Previously EFDS) is the national body responsible for developing sport for disabled people in England. They work closely with the seven National Disability Sports Organisations recognised by Sport England to develop sporting opportunities for the 11 million disabled people in England. Activity Alliance was established in September 1998. 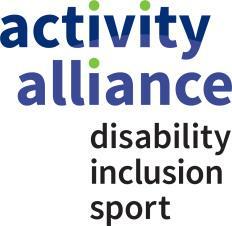 Activity Alliance is a national charity, dedicated to disabled people in sport and physical activity. We support a wide range of organisations to include disabled people more effectively. The Activity Alliance vision is that disabled people are active for life. To view the Activity Alliance website click here.